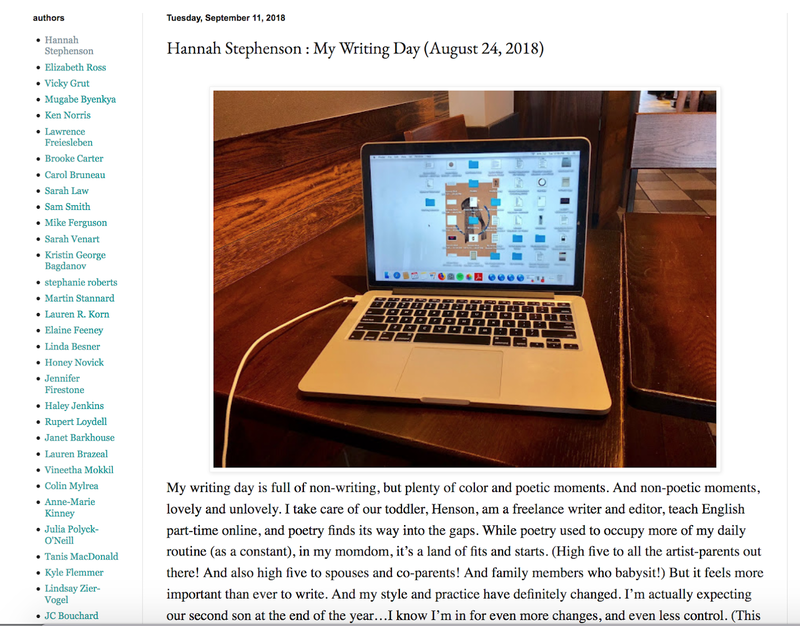 A big thank you to Rob McClennan (whose work I've long followed) for including me in his new project about how writers spend their days (click the link to read my piece). 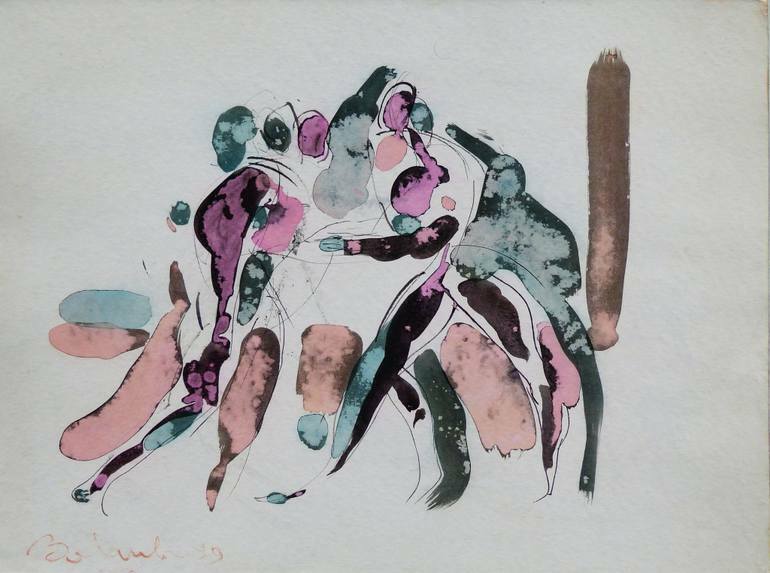 As you know, I've long been interested in process...but it's so messy and unconsolidated for me in my current life. And that's not a bad thing. Have you ever recorded and shared how your day goes down? Or analyzed the changes in your own creative rituals and schedules? It's bizarre and very revealing. New poem up in Matter--"Also Me"
Happy spring, everyone! 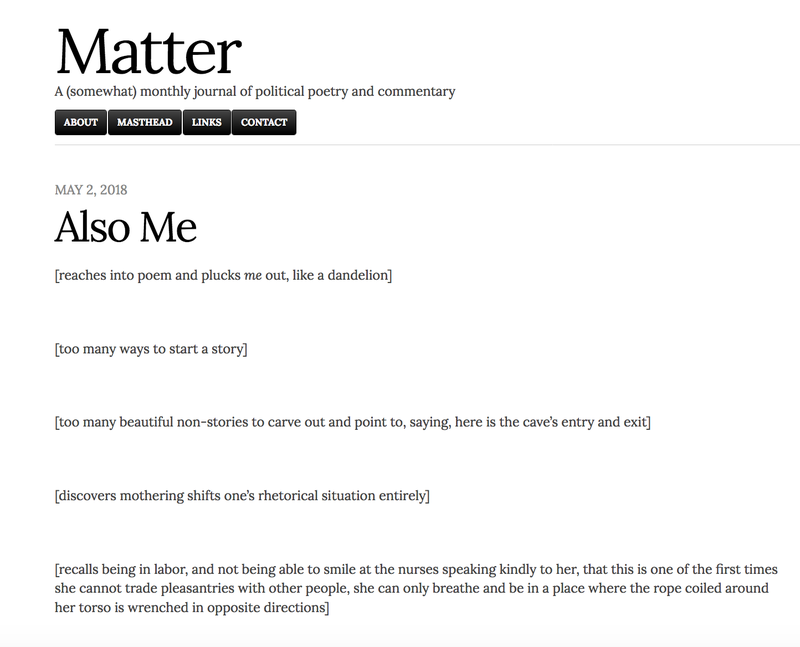 I'm really pleased to have a new poem up at Matter, which bills itself as "A (somewhat) monthly journal of political poetry and commentary." You can read the poem here. I really love what the editors, Virginia Konchan and Glenn Shaheen, do with this space, and I'm honored to share an issue with some other wonderful poets (including my pal Leah Umansky, who has beautiful collages in the issue!). and turn the bed into Beach, Jr.